Light is about hope and opportunity. Light is also about security. In remote agricultural communities, light can make all the difference. 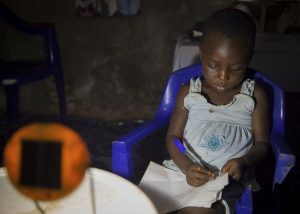 Eucharia believes solar lights saved her life. 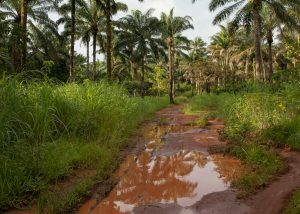 Eucharia is from a small rural community in Enugu State where people are mostly agrarian, planting rice, cassava, yams and also cash crops like oil palm and cashews. The Oji River Power Station in Enugu State used to supply electricity to all of Eastern Nigeria but has been out of commission since 2004. Many communities here have no access to power at all. 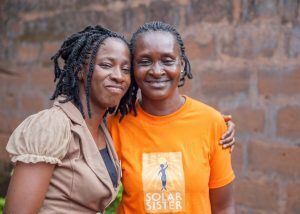 Eucharia, who has 7 children and one grandchild, became a Solar Sister entrepreneur in March 2017. Her husband, who works as a motorbike taxi driver in the nearby town, is supportive. My husband likes that I am doing Solar Sister and encouraged me to the buy solar lights for our own home. Eucharia, as with most women here, used to cook with firewood over a traditional three-stone fire holding up the pot. 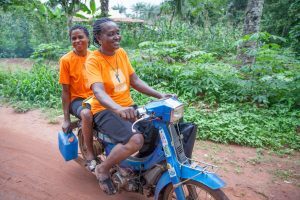 To light her home, she bought kerosene for lamps and batteries for torchlights. 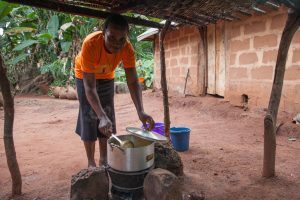 Now using a clean cookstove means she uses much less wood, and breathes less smoke. 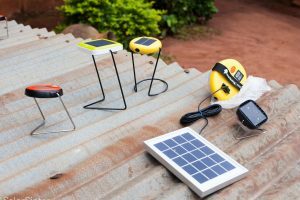 Using solar lights also helps her save on the cost of batteries and kerosene. For Eucharia, setting up a clean energy business means extra income for her family. Her goal is put a new roof on her house. 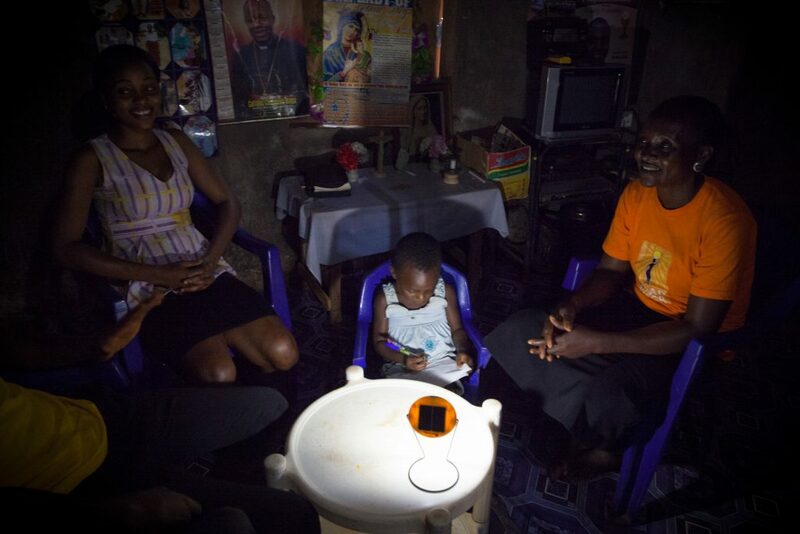 Just as remarkable as these benefits of clean power, might be the security that Eucharia’s solar lights provided. The solar lights actually helped to save my life. Kidnappings in rural Enugu State are sadly not uncommon. In remote communities such as Eucharia’s, gangs come at night to kidnap people and hold them for ransom. One month prior to telling this story, a group of these men came to Eucharia’s house. She had left three solar lamps outside that night to keep the area well lit. But she was alone with her granddaughter when they came banging on the door. They shouted for me to turn out the lights and come out because they had a message for me. I was so scared. The men did not want to show their faces, and they kept shouting at Eucharia to turn the lights off. Because the compound was well lit, she had a little extra time to raise the alarm. When neighbours came, the group ran away. If there is light, it helps to deter these gangs, and also thieves. They do not want to be identified, so they need darkness. Now Eucharia leaves her solar lights out every night – two on far side of the compound and another near to the house, by the veranda. With every new light she sells, she tells her customers about the health and economic benefits, and also the very real security of all-night solar lights. 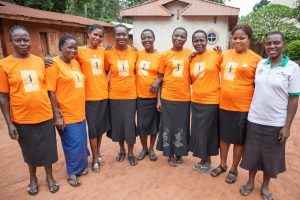 We need your help to support women like Eucharia to bring light and security to their communities. Join our campaign to Invest in Women and Power Communities today. Eucharia and Solar Sister's Nkiruka Nnam pose.